A proactive, team approach to health and welfare and disease prevention has helped reduce antibiotic usage by 32% in the last 12 months at Calcourt Farms, Montgomery. Every month, Fraser Jones sits down with his herd managers, father Maurice, vet Oli Hodgkinson, of Trefaldwyn Vets, and nutritionist Roy Eastlake, of Biotal, to review herd health and put in place actions to address issues. Disease prevention is high on the agenda, but so too are management practices to optimise welfare. That could be improvements to housing, monitoring management outcomes or reviewing protocols. Mr Jones is also keen to ensure herd health planning is an ongoing, active strategy. The business milks 1,000 Holstein Friesians across three units, all of which are milked twice-daily and yield around 10,000 litres at 3.97% fat and 3.24% protein. All units have been closed herds for about 10 years, with youngstock and dry cows from all farms managed at dedicated sites. No over stocking (100% maximum). Heifer and fresh cow management: Cows and heifers remain in a fresh cow group for up to 60 days to allow close monitoring. This is minimally stocked to reduce stress. Antibody testing: To ensure calves are consistently receiving adequate levels of quality colostrum, a more regular blood testing strategy to monitor blood immunoglobulin levels will be adopted. At present colostrum is tested with a colostrometer and only the best is pasteurised and fed to calves. Within the first hour of birth 3.5-four litres is given followed by a second feed before 12 hours of age. Foot trimming: The business has its own roll over crush and also employs a foot trimmer. To improve foot health further, the team is planning on developing a routine trimming programme at 60 days post-calving and drying off. Mr Jones is passionate about the need for all members of the farm team to work together to address herd health and believes it is this approach which is crucial to survival. “It’s important they’re speaking to each other; the vet and the nutritionist. Everyone looks at things slightly differently, but they all have an impact. If farmers don’t adopt a collaborative team approach, they probably won’t be here in 2027,” he says. 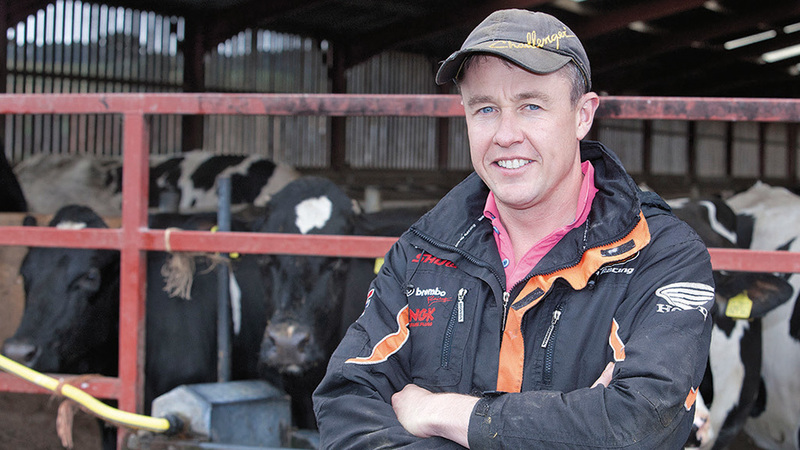 Rather than waiting for processors and supermarkets to make demands on detailed recording and herd health planning, he also believes there are benefits to embracing it voluntarily. “If you’re forced to do it, you don’t do it as well. If you do it voluntarily, you probably get more out of it,” he says. At Calcourt Farms, a team approach has led to a number of improvements, including a significant reduction in left displaced abomasums (LDAs). 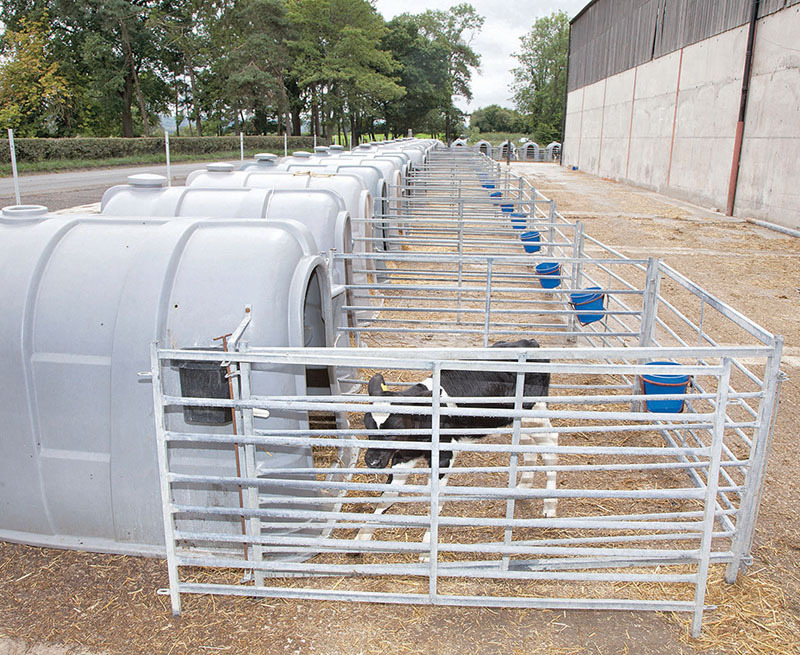 They found that a step leading to the feed barrier was putting fresh cows off feeding. To address this, fresh animals were moved to a larger shed and stocked at 20% stocking rate. They are also milked in a dedicated fresh cow group for up to 60 days post-calving. This allows close monitoring by staff. Consequently, they have had seven LDAs in six months, versus seven a month previously. A higher than desirable level of whites (endometritis) post-calving also encouraged the team to reassess how they examined cows. Mr Jones explains: “We used to check cows for bulling [strings] vaginally but we were seeing a lot of whites, so now we check for bulling rectally. We just don’t get the dirty cows now.” In fact, the incidence of whites now sits at under 5%, compared to 60% previously. When it comes to top-line infectious diseases, all herds are vaccinated for IBR, leptosporosis and rotavirus. 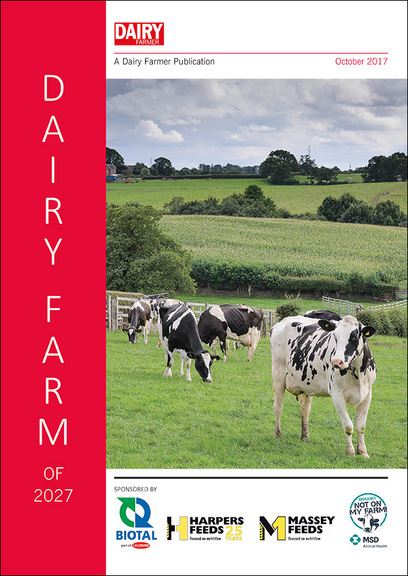 Bovine viral diarrhoea (BVD) has been the main disease under the spotlight in recent years. In fact, an ongoing control strategy has been a reason for the drop in antibiotic use seen across the business. About five years ago, a persistently infected (PI) calf was identified through blood sampling. These PI calves are born shedding the BVD virus and are a main route of disease spread. The farm had been vaccinating animals for BVD for some time, however after working with Mr Hodgkinson, they realised their vaccine strategy was a bit hit or miss. This meant the booster vaccine was being given too late on some occasions and some animals were missed. As a result, they moved to vaccinating everything over six months old at Christmas. All calves are also routinely vaccinated at three months old. This means some calves are vaccinated twice, but the farm can be assured everything is covered. All calves are also now tested for BVD using an on-farm snap test. This can identify a PI calf within 20 minutes by analysing an ear tissue sample taken from calf using a specialist eartag. Any PI will be culled and their dam tested. In the last two years, no PIs have been identified which shows they are removing the source of infection. In general, in the absence of perfect biosecurity – and especially on farms buying-in cattle from unknown sources – vaccination cannot be completely relied upon if PIs are not removed. BVD has a significant immunosuppressive effect, leading to other disease issues such as pneumonia and mastitis. Consequently, as a result of controlling the disease, overall health has benefited.